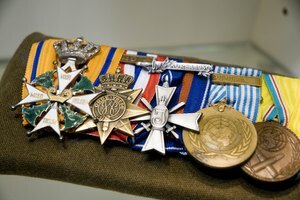 Military medals can be replaced. 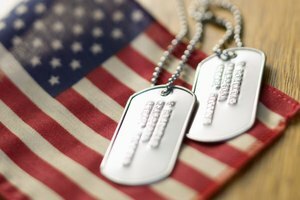 Whether one of the highly regarded military medals like the Purple Heart has been lost or a campaign medal from your service has been destroyed, your military medals can be replaced. 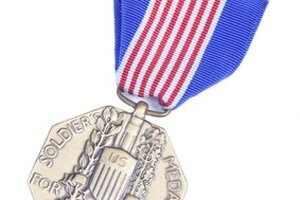 As long as the branch of service you served in can validate you were granted the medal, it will be replaced for you. There are two options to order replacement military medals. The easiest method is to use the eVetRecs website. You can also mail your request, but be aware that each branch of service has its own mailing address for requesting replacement medals. Log onto the eVetRecs website (see the References section). 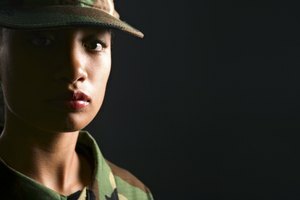 You must be a military veteran or next of kin of a deceased veteran to use eVetRecs. Click on the red-highlighted "Request Military Records" at the bottom of the eVetRecs website. There is a four-step process that you will be guided through to request military medals. Provide as much information as you can about what medals you are requesting in the "Comments" section (Step 3) of your request. Print out the signature verification form when your eVetRecs online request is complete. After it is printed, sign and date the signature verification form and mail or fax it to eVetRecs within 20 days of entering your request on the website. Print out, complete and mail Form SF-180 if you are not a military veteran, not the next of kin of a deceased veteran, or if you would simply like to request your replacement medal by mail. You can find Form SF-180 through either of the links listed in the References section of this article. Addresses to mail the Form SF-180 are provided on the Archives' "Military Awards and Decorations" website (see References). Find your branch of service and locate its mailing address alongside "Where to write for medals." Salveson, Evan. "How to Order Replacement Military Medals." 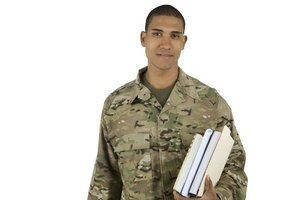 Synonym, https://classroom.synonym.com/how-to-order-replacement-military-medals-13583496.html. 04 October 2017.